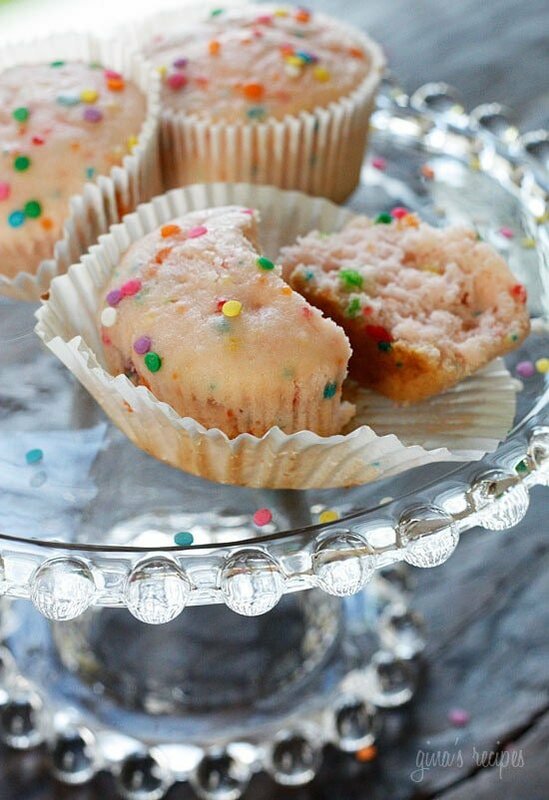 Sweet and tart pink lemonade cupcakes – these cupcakes just scream summer! A few months back I had a request to do a make-over for pink lemonade cupcakes. The original recipe was totally decadent loaded with butter and buttercream icing and I wasn’t sure how I would pull it off. I played around with this one several ways, and this is what I came up with. I chose to keep them naked and simple since they are sweet enough as is. 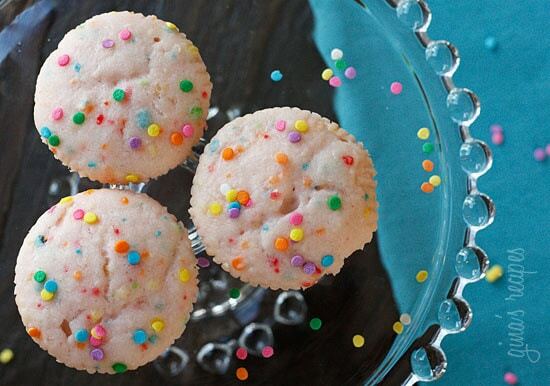 If you like tart and sweet, these cupcakes are for you! 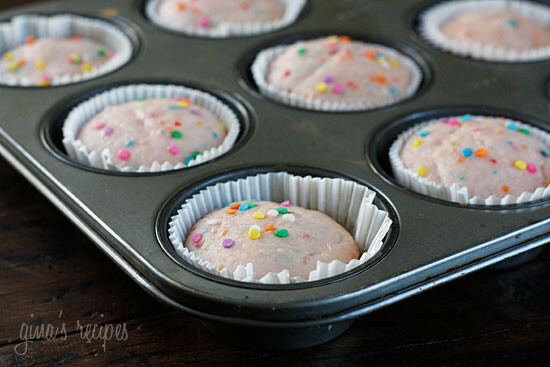 Pour the batter into the prepared cupcake pans. Add sprinkles if using and bake in the oven for 22 minutes, or until a toothpick inserted into the center of the cupcakes comes out clean. Cool completely on wire racks before serving. I made these using strawberry purée rather than applesauce. I also subbed 4 packets of Splenda for the powdered drink mix. They came out absolutely delicious! 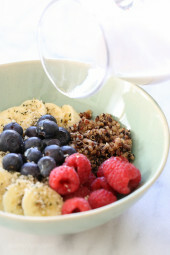 I just recently found out about this site and I am in Luv with all the recipes. 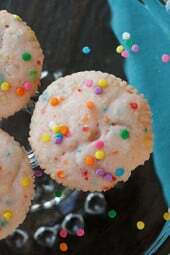 I made the cupcakes last night my first recipe of yours and they were AMAZING!!! I will definitely be trying many more. Thanks for posting all these healthy recipes. unfortunately, this is the first recipe I have made from skinnytaste that was really bad. :-/ they are way too sour. I couldn't even finish one. I made these today but just with a couple tweaks. I am a poor college student so I look for things on the cheaper side and also I have no car so I do last minute shopping at the Walgreens across the street. I had Pillsbury Halloween Funfetti cake mix on hand from buying a few boxes on clearance so I used that instead. I also used raspberry-lemonade mix since that was all I could find at the Walgreens. I didn't use food coloring because the batter came out super pink. Since I didn't have lemons for the rind, I used lemon juice from a bottle. Lastly, I used a mini cupcake pan since that's what I have. I was able to make 28 mini cupcakes at 2 points each! They taste awesome! Just wondering if you know how much the nutritional count would be altered if the cake batter was home made rather than boxed? I prefer to make from scratch. I just noticed my box mix is only 15.25oz. Has anyone else run into this issue? I was looking for a pink lemonade cupcake recipe for my boyfriend's birthday (he's in love with the pink lemonade cupcakes from the local cupcake bakery), but he is trying to watch his weight. 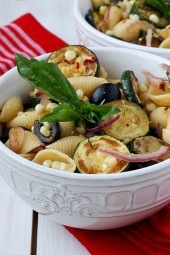 This is a great solution, and no doubt as delicious as all the other recipes on Skinnytaste! Haven't found a bad one yet. THANK YOU for being such an amazing resource! I just tried these cupcakes and I was a little disappointed. I don't know if something went wrong while making them but I split the batter and did half with pink lemonade mix and the other half with cherry limeade. The cherry limeade was just a bad idea, at least the brand I used. The pink lemonade were just okay. The batter came out really thick so maybe I measured something incorrectly. 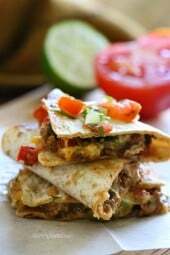 I have LOVED every other recipe of this site!